My first post in Year 2015 is asking people to change Job? Well..not really asking people to quit job but change job. Wind of Change! I just want to share on some reason which I think most of us feels in real life. I have been working for almost 21 years now and that was a long time (at least to me) and give me enough credit to share my tips on reason for you to change your job. Talking about quitting job make many of us shiver because many not prepare to be jobless and mentally prepare to live life without knowing what to do in daily life. Well...that is why we don't quit but change job. Many of us afraid for changes. I mean change environment and many still at the comfortable zone. Some of us just put up with whatever difficulties and uncomfortableness while working. Your life is your own responsibility, not your parent or people around you. The blaming game are not qualify to get started with whatever decision you make with regards to your own life. Why? Well its your life after all and you are the only one have full control on which button you want to press to live on how you want it to be. All of us need to work so we could earns and live, unless you born with 'super rich' family then it will be a different story. Well for us commoner like us and don't have the privilege to stay idle without earning then we have to adapt with our working life no matter how difficult it is. For people who are employed will be thinking their job is like hell break lose and for those who unemployed is thinking hard the way to survive without any job. In whatever situation try your best when chance given to start a positive working and earning life. When start working, you need to at least try your understand your Boss. Why is this important? Your Boss are the contributor for your coffee and rice to live. You have done your best to do whatever it takes to do your job well. Do you feel happy with your job? Do your life feel content? Do you ever....many times make you feel like you wanna change your job. * Change your job just because you feel more superior than your boss??? That's lame!!! * Change your job to take a better paying position??? Well..that's definitely and welcome to the reality! Well..there are many more reasons to change job other than 'your brat short temper attitude'. Most important one need to understand the important of living your life reasonably happy. We all need a little poke for us to realize our mistake and how to improve it for better. As much as all of us has pride to taken care off, we need to be told things in private. We need to earn some respect being a human being with feelings and thoughts. Life is too short to get criticized and humiliated publicly in front of others. 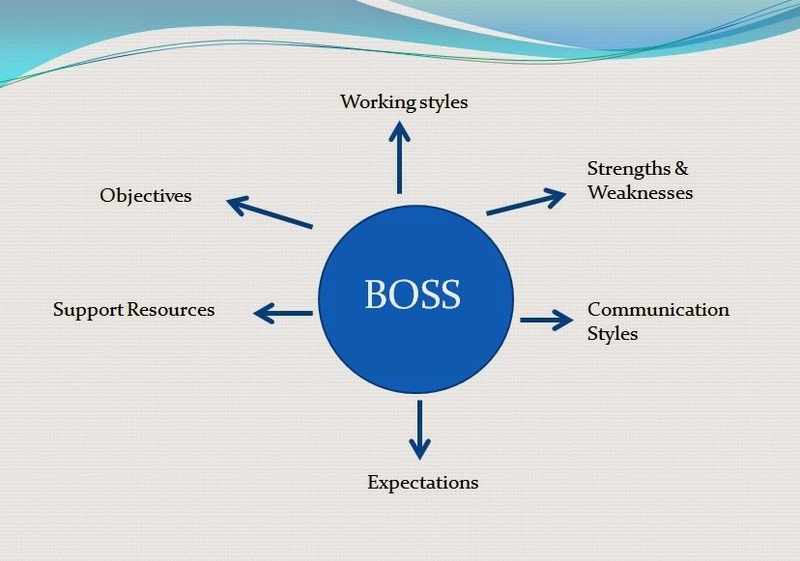 I always believe that the Boss who able to manage 360 degree is a successful Boss and earns my little respect. The moment your Boss starts referring, 'I' and 'I' in every speech, nothing you could expect from this kind of Boss which is everything are bout him/her and all credits to team hard work are on him/her. Life is too short to spend and waste your skills and youth to this kind of Boss.The will be not much progress in your career advancement! Which leads to waste of efforts. Life is too short to go home feeling like you have worked but you haven't accomplished anything meaningful. All of us likes to feel we make an impact not just on results but also on the lives of others. Many of us love career progression, promotion which we could take on additional money with more responsibilities, learn new things, tackle new challenges and to feel like tomorrow is different than today. Toyota way, Continuous improvement is something that we can take example to lead out life with continuous learning for better future. If your Boss are the type who don't see this as something important...then Life is too short for you to live without hope. All of us has ideas and we love when our ideas are taken seriously and implemented, you feel proud of this achievement! What if your Boss laugh and shoots down to your ideas? How do you feel? Don't you feel demotivating? You feel insulting? Life is too short to feel insulting and demotivating. However, mind to contribute good and practical ideas in line with your company capability. Anything beyond that is the invitation to feel demoralizing being humiliated in public. So careful in what kind of ideas you are throwing! All of us need some pat to our back when we achieve something. Life is too short for not being recognized for the contributions we make. How many of you don't feel like going to work this morning? Lazy? Demotivated? Don't feel like enjoying your work? We spend majority of our times in life at workplace. It is important to enjoy and feel passionate on what you are doing. Life is too short to spend on looking forward to quitting time. Well , I could say all these things are true and if you let them be true. You can do something else and you just have to believe in yourself and trust your creativity to a new happier and more fulfilling places. Life is too short to just stat where you are instead doing everything possible to live a better life. Whatever decision you make or made is your choice and your responsibility.
' Quite sometimes ago my ex Boss told me this...if you want to feel sends of freedom in life you need to have this capability. Can you survive 2 years without job? You don't have this capability means you need to work, earns more and save more. Thank you Boss for giving me such advice. Life is short! As much as we want to be happy....having more money make us feel more secure and happy!